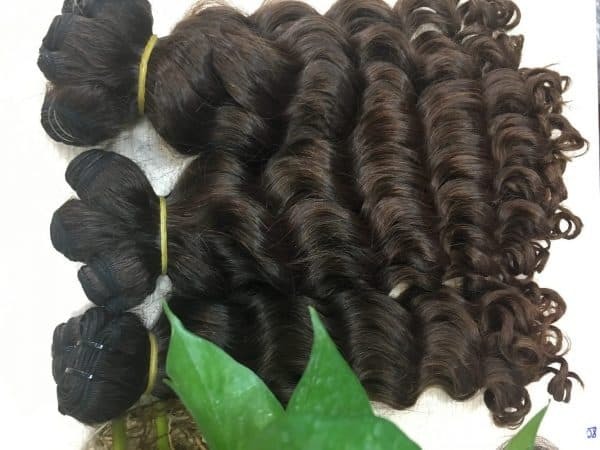 Besides Vietnamese hair, Layla Hair also supplies Cambodian hair, which is collected directly from Cambodia with three main textures: straight, wavy and curly. We get them from human donor, so it definitely looks like your own real hair. You don’t need to worry about its lifespan and its healthiness. At the same time, it is really lightweight, which allows you to add in your natural hair with carefree. The thickness is remained from the top to the bottom. The short strands are removed and the long strands are added to create a high density. Wavy hair extensions is the one that almost women all over the world fall in love with. It makes them look younger and more active. These wavy hair extensions are available in sizes varying from 12 inches to 30 inches. We can also produce hair extension with a lot of colors. So please go to Laylahair.com to see our biggest collection and get your own wonderful hair extension. 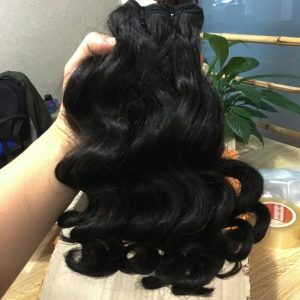 Don’t be hesitant because it is very easy to carry, these wavy hair extensions do not even feel fake when you use it. Manufacture Clip in and hair extensions. You can use to dye, bleach or do whatever you want.